Laser Hair Removal – Find out About the Pros and Cons before Taking That Step! Hair is something we deal with on a daily basis. From washing, to shaving and waxing – we like to make sure that we look good and are groomed accordingly. If you are the kind of person that hates shaving, think about going the laser hair removal route but before you do know about the pros and cons before making your decision. Hair is composed of protein. Hair appearance can be a sign of one’s age and health. Hair protects the skin and head against trauma and ultraviolet light. Hair insulates the skin against temperature changes and is a barrier to foreign objects. Removing hair is almost always done for perceived cosmetic or social reasons. Certain hair-removal techniques can damage the skin and produce dark spots that may last a long time. Depilation is hair removal above the level of the pore (follicular opening). Epilation is the damaging of both the hair and the hair bulb below the level of the skin surface. All hair is dead protein. Hair’s superficial appearance depends upon its anatomical location. Fine poorly pigmented hair tends to grow on certain parts of the face like the upper cheeks and forehead. Thick darker hairs grow on the edges of the eyelids and brows, the male jaw-line, the scalp, nostrils, and pubic areas. These characteristics often change as one ages. The palms, soles, and the red portion of the lips do not have hair or hair follicles. Laser light is absorbed by pigment in the hair causing the production of heat that can be used to destroy both the hair and adjacent tissues. When done correctly in the appropriate patient, only the follicular tissues are damaged resulting in local hairlessness for an extended period of time. The process may have to be repeated several times before there is any permanent result. Those with contrasting light skin color and dark hair are the easiest to treat where as those in whom there is little color difference between skin and hair can be challenging. Those with darker skin often require lasers that generate longer wavelength light. Occasionally, it may be necessary to add an exogenous pigment to the hair if the hair is naturally uncolored. 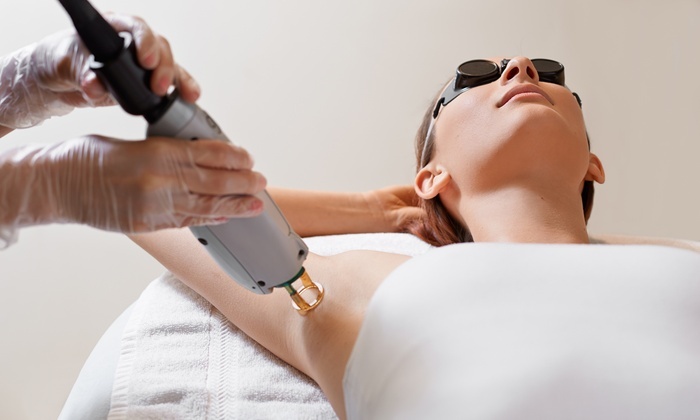 Laser hair removal is relatively expensive and should only be performed by an experienced operator. Laser hair removal can be painful. Poor results are frequently due to darkening of the treated skin and actual thermal burns. There are laser and light systems available for use at home by the untrained consumer. Whether this is a safe and effective approach to hair removal remains to be seen. If you feel that you have all the facts that you need for laser hair removal then give it a try. You won’t have to worry about unwanted hair ever again! Is Permanent Hair Removal even Possible? It is with Laser Hair Removal!